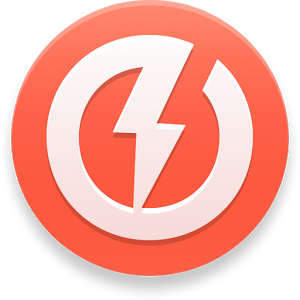 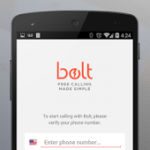 Calls to other Bolt users are free. 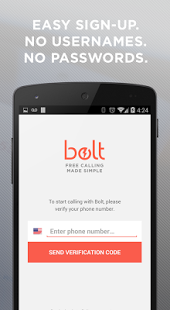 Just make sure to dial their “Bolt” number when it appears in their contact details. 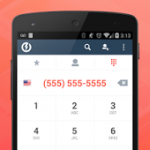 Calls to normal phone numbers use your minute plan without leaving the app. 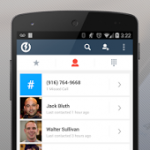 Favorites are automatically discovered and updated based on who you contact most. 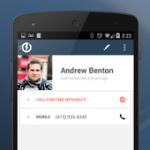 Minor version update 1.0.4 introduces Bolt status icons in favorites and silences keypad touch tones when on mute. 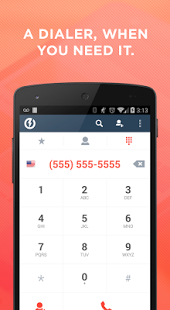 Minor version update 1.0.3 introduces an option to get a verification code from a phone call if message-based verification doesn’t work. 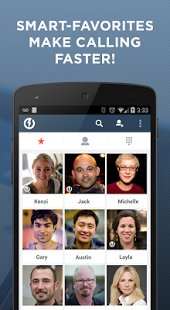 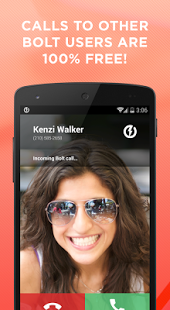 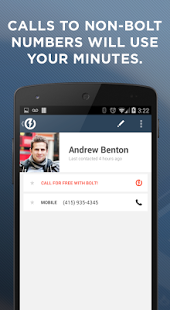 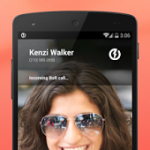 Bolt version 1.0 introduces free calling to other Bolt users. 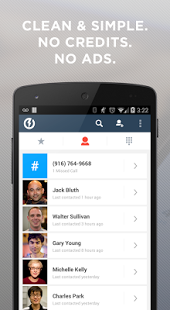 There is a known issue that causes contact search to stop working in some cases. 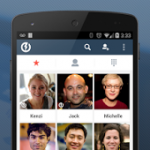 We are working on a fix, but for now killing the app and restarting it makes search work again.